One of the topics being discussed during this year's legislative session is 3.2 beer in grocery stores. 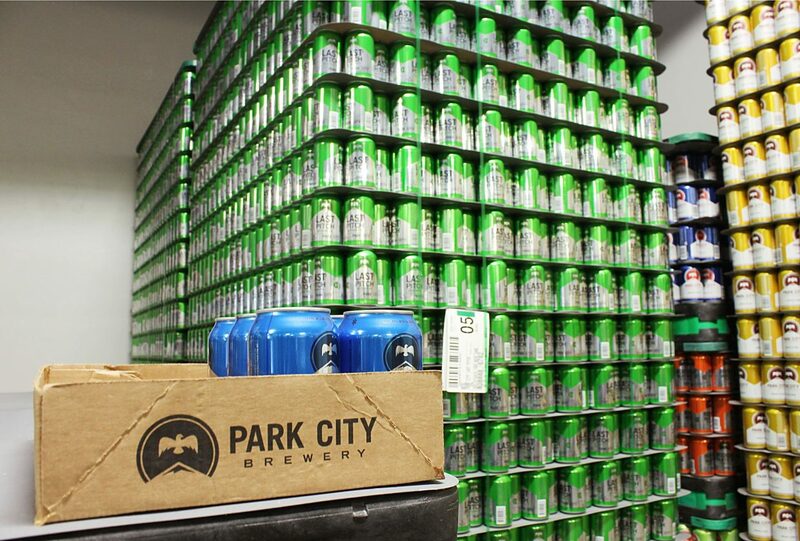 Bill Malone, president and CEO of the Park City Chamber/Bureau, said the debate is a balancing act between supporting local craft breweries, such as Park City Brewery, and providing choice to guests. Tourism plays a large role in Utah’s economy, and more so in Park City. Skiers, mountain bikers and event attendees who visit year-round help power the mountain town. So when proposed legislation has an outcome that could impact visitation, the ears of outdoor recreation and tourism leaders perk up. Currently, the Utah Legislature is in session, and lawmakers are discussing several bills and general topics that could effect Park City. Issues range from taxing services and lowering sales taxes to removing restrictions for restaurants that serve alcohol. Bill Malone, president and CEO of the Park City Chamber/Bureau, said tax modernization is one of the topics flying around during this year’s session. Gov. Gary Herbert is in favor of lowering the rate and broadening the base by decreasing tax rates, including sales taxes, for taxable items, and making more financial transactions taxable. He mentioned the tax changes in his proposed budget in December and his State of the State address on Wednesday. Lawmakers, including House Speaker Brad Wilson, R-Salt Lake City, have echoed Herbert’s desires with their own plans for tax amendments. While no details about what financial transactions could be taxed have been released, Malone worries that tourists might be the ones paying more. If travel-related services, such as gear rentals and ride-sharing services, are taxed, that would make it more expensive to travel and adventure in Utah. But, it could also mean that short-term rental services, such as VRBO and Airbnb, would have to be more compliant with paying taxes, according to a newsletter from the Chamber/Bureau. If sales taxes are reduced, Malone worries how that will impact a town that heavily depends on them to provide such services as snow removal and public transportation. Cities and counties could look to transient room taxes as a way to make up the difference, Malone said. He recognizes the appeal of tax changes, because the state is working off tax rules that are from a different era, he said. And with the state’s $1.3 billion surplus, he said it seems to be a good time to reevaluate taxes. He hopes the state remembers Park City’s unique economy and demographics as it makes those decisions. Alcohol is another major topic during this year’s session that could impact tourism in the state. The debate over whether or not to allow beer that contains more than 3.2 percent alcohol in grocery stores is brewing among lawmakers and their constituents. After states like Colorado and Kansas voted to sell full-strength beer in stores, fewer national brands intend to make beer that meets the requirements to be sold in Utah supermarkets. Malone said it is good for the craft breweries in the state that have been meeting the demand with their own 3.2 percent beers, but it also restricts the selection of beer available at stores. Another possible bill that had not been filed as of Friday morning could benefit restaurants serving alcohol, Malone said. The rumored bill would permit servers who are at least 18 years old to take an alcohol order and pick up used glasses that contained alcohol. Currently, workers have to be 21 in order to take an alcoholic beverage order or to bus tables. That, Malone said, would help restaurants open their applicant pool. Additionally, Rep. Mike Winder, R-West Valley, has proposed a bill that would reduce restrictions on the proximity of establishments serving alcohol to parks, schools and churches. Malone said proximity has been an issue on Main Street, because there are small parks around the street and several restaurants that serve alcohol in the historic district.